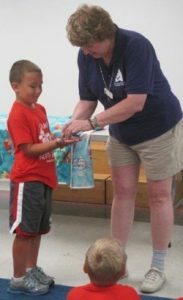 Mrs. Kerdock from the New Jersey Academy for Aquatic Sciences’ TrOUTREACH program visited the campers at Camp North Branch as part of their “beach” themed week. 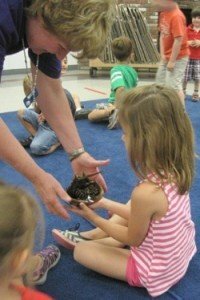 The TrOUTREACH program brought science to life right in our own program! 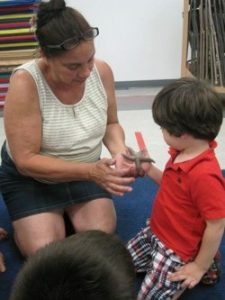 Our program started with the children working in teams of two to find a letter and an animal to match. C is for CRAB, L is for LOBSTER, and S is for SHARK were a few of the pairs that were found. 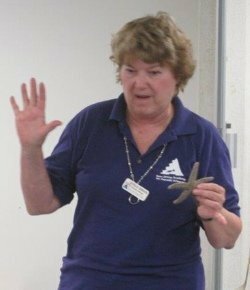 They were then introduced to Sea Stars and a Horseshoe Crab! A Sea Star has five legs and five eyes, but they move very slowly. It takes them a week to travel a mile. 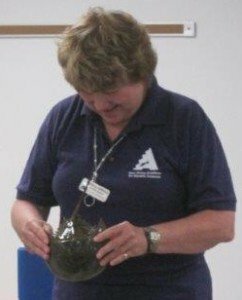 A Horseshoe Crab has ten legs, no teeth, and uses its tail to flip himself back over. We had a great time learning about sea life!